To purchase Clay County birth, death, and marriage records, see the Vital Registration Office; records can be bought online, in person, or through the mail. The Clay County Clerk maintains birth, death, marriage, and divorce records before 1917. With few exceptions, only family members can request birth records from the last 100 years or death and marriage records from the last 50 years. Clay County and its county seat, Clay, are both named for Henry Clay, the American statesman who was famous for his Compromise of 1850 which sought to avoid the Civil War. 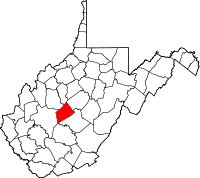 The county was formed in 1858.